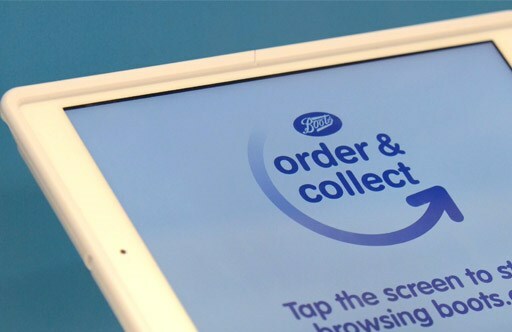 Things have been very busy at work recently, but I surfaced on Saturday to take my wife into Reading to collect goods she’d ordered from Boots earlier in the week. Just replenishing a range of items so she didn’t start running out from Monday. She’d been advised to pick everything up anytime after midday from their town centre store. You’ve probably guessed it – no sign of the order. She was just pointed at the customer service phone number on her copy of the order sheet, and asked to call them. Which she duly did outside, only to find that hundreds of customers who’d paid for their orders in the week with Mastercard were similarly in the same position. So she asked if she could cancel the order and at least buy the same things in the store while she was in town. Answer: the operator wasn’t sure if she was even allowed to cancel, but would ask and email back. That email never arrived; the only one that did a day later confirmed her items had now dispatched for the store but still no indication of arrival date – and the next 15 mile round trip needed. I’m reminded of two things learnt from both Amazon and in producing strategy maps using the Wardley Mapping technique. The common thing when you’re involved in any product, project or business process design is that you start with the customer and optimise for their most delightful experience – then work back from there. And you only start trying to be unique if it’s directly visible to that user experience in some tangible way. Both facets together are still an incredibly important gap that I see folks miss all the time (I see that in projects at work, but that’s another story). If you have a regular prescription, they put all the tablets you’re supposed to consume in a time/date labelled packet. These are printed and filled in a roll, output in chronological order – then loaded into a dispenser you receive in the mail (overnight if needed urgently): Simple! And then a set of services where they maintain your repeat needs with your doctor directly, so all the grunt work in ensuring you get your meds is done for you. They even allow you to set your holiday location if you’re away and ship there if needed to ensure you never have an unwanted gap. Compare that to the run around most folks are exposed to with regular prescriptions and in understanding what to take and when. Instead you have a friendly, subscription based business serving your needs. (For some reason, Wall Street currently obsess about subscription based businesses – they value their stock not on Price to Earnings ratios but on Price to Sales Revenue multiples instead – and Amazon are in the thick of that too). Personal experience here with Amazon (we’re Prime members) is that there is any problem with an order and we ask to cancel, it just happens and money immediately reimbursed. You can see why all those retail pharmacy shares took a hit with the PillPack buyout announcement by Amazon; you can see the end user experience is about to get radically better, and probably first in a number of Amazon initiatives in the Health Industry that will follow a path of relentless, customer obsessed, focus. Amazon already have a joint venture with Goldman Sachs and Berkshire Hathaway to work out how to provide cost effective health benefits to their combined employee populations. Something they’ll no doubt open outside the company too in time. That’s when life for CVS, Walgreens, Target and so forth (plus Boots in the UK) will get very interesting. Bring it on! 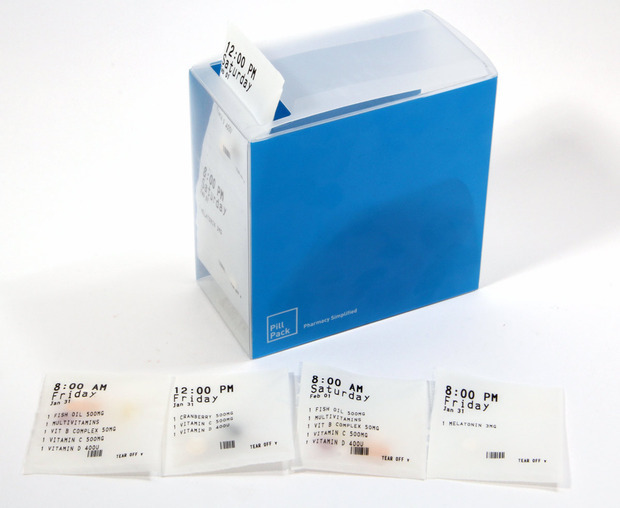 Every pharmacy can receive repeats automatically and assemble the meds in a dossette box which can then be delivered. 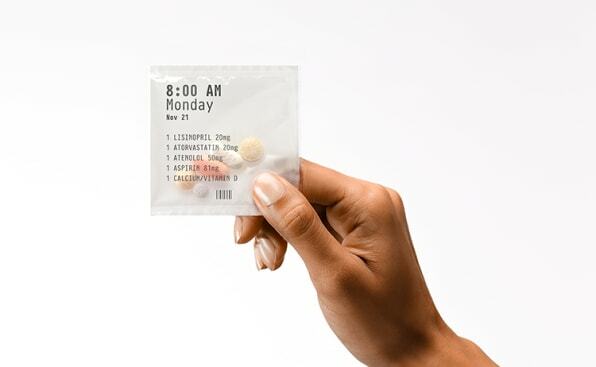 Thousands of elderly and care home residents receive their meds this way. The real benefit will come when a) you can elect to tailor your repeats to real-world usage – for example, you can choose to drop out meds that have been prescribed ’up to’ three times a day, or halve a tablet or the take a med at a different time of day to manage side-effects and b) when you can add in supplements which are then charged at cost-plus per pill rather than in bottle sizes that aren’t consistent. That’s a whole new level of subscription.